Emissions budgets represent the upper limit of total carbon dioxide (CO2) emissions associated with remaining below a specific global average temperature. The simplicity of the concept has made it an attractive tool for policymakers to use in efforts to remain below dangerous levels of warming, even though it is strongly dependent on the assumption of a linear relationship between global temperature rise and cumulative CO2 emissions due to human activity. In their study, the researchers investigated how current emission budgets are impacted by the non-linear feedback phenomenon of CO2 and methane emissions caused by permafrost thaw. "Permafrost carbon release from previously frozen organic matter is caused by global warming, and will certainly diminish the budget of CO2 we can emit while staying below a certain level of global warming. It is also an irreversible process over the course of a few centuries, and may therefore be considered a "tipping" element of the Earth's carbon-climate system that puts the linear approximation of the emission budget framework to the test," explains Thomas Gasser, a researcher with the IIASA Ecosystems Services and Management Program and lead author of the study published in Nature Geoscience. Worryingly, the study also shows that the effect can become even more significant for overshooting trajectories. Overshooting means first exceeding the targeted level, and then going back down to the target. The Paris Agreement explicitly acknowledges an overshooting trajectory, peaking first at 'well-below' 2°C and then pursuing efforts to get back to 1.5°C. During the overshoot period however, rising temperatures will lead to further permafrost carbon thaw, which will in turn lead to more released carbon that will need to be removed from the atmosphere for global temperature to decrease. "Overshooting is a risky strategy and getting back to lower levels after an overshoot will be extremely difficult. However, since we are officially on an overshooting trajectory, we have to prepare ourselves for the possibility that we may never get back to safer levels of warming. 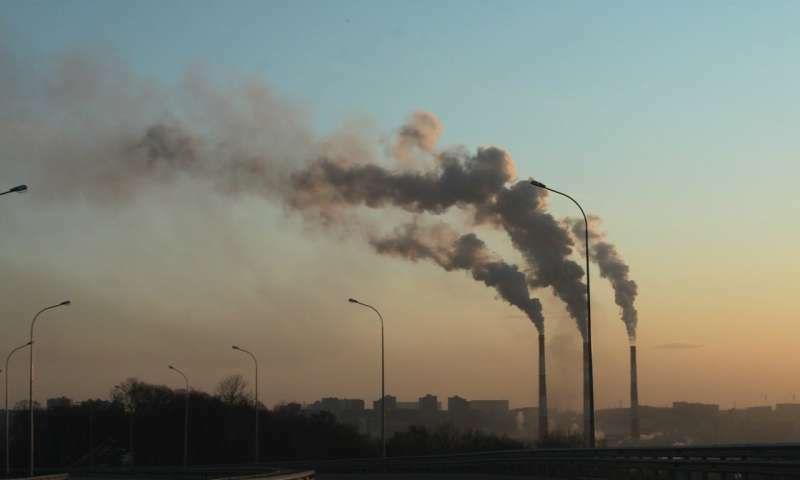 Policymakers should understand that there is no elementary proportionality between cumulative CO2 emissions due to human activity and global temperature, as previously believed, and that overshooting may have serious consequences," says Gasser. CO2 is not a poison, and it's effect so far has not been determined. Republi-Dung is a natural plant food, so we need not fear having dung in our drinking water. The effect of Republi-Dung in drinking water has not yet been determined. This is really not a surprise. The idea we could stick to 1.5 degrees or even 2 degrees without anybody doing anything was insane. We needed to act fast and aggressively 10 years ago. Now? We're mostly just fucked. What a surprise, the leetenant jackass brays, yet again. This is the jackass who boasted about, his CO2 spewing pleasure cruise to watch the ice melt in the Antarctic and his plans to do the same to the Arctic. He then has the audacity to come here and bray at the heretics. This is the plan from this jackass to save the world......fast and aggressive and definitely fucked. they are referring of course to the added CO2 emissions released by the thawing permafrost around the globe from global warming. Something that previously accounted for in the Paris models. So basically we need to find a solution a lot faster than what we planned for in the Paris Accords.